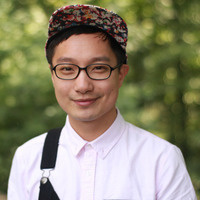 Chen Chen is the author of "When I Grow Up I Want to Be a List of Further Possibilities" (BOA Editions, 2017), which was longlisted for the National Book Award and won the A. Poulin, Jr. Poetry Prize, the GLCA New Writers Award, the Texas Book Award for Poetry, and the Thom Gunn Award for Gay Poetry. The collection was also a finalist for the Lambda Literary Award for Gay Poetry and named a Stonewall Honor Book in Literature. Bloodaxe Books will be publishing a UK edition of "When I Grow Up" in June 2019. A Kundiman fellow, Chen’s work has appeared in many publications, including Tin House, Poem-a-Day, The Best American Poetry, and The Best American Nonrequired Reading. He is the 2018-2020 Jacob Ziskind Poet-in-Residence at Brandeis University. With the poet Sam Herschel Wein, he co-founded and co-runs the journal, Underblong. Poets & Writers featured him in their Inspiration Issue as one of “Ten Poets Who Will Change the World” and The Atlantic featured him in an article entitled “How Poetry Came to Matter Again.“ He lives with his partner, Jeff Gilbert and their pug dog, Mr. Rupert Giles.